More than 2300 students will officially graduate as a part CDU’s mid-year graduation ceremony. More than 500 graduands will robe up to receive formal recognition of the successful completion of their studies at Charles Darwin University during this week’s mid-year graduation ceremonies. More than 2300 students will officially graduate as a part of the ceremony which recognises the academic achievements of students from both the higher education and vocational education and training sectors. 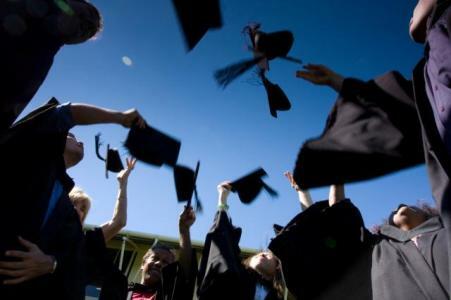 Two graduation ceremonies will be held this week in the Casuarina campus courtyard. On Thursday evening, the ceremony for the Faculty of Law, Business and Arts, and the Business and Services Industries and Trades Industry Divisions will be held. Friday’s ceremony will recognise graduands from the Institute of Advanced Studies, Faculty of Education, Health and Science, and the Industry Divisions of Language and Literacy, and Primary Industries and Community Services. A total of 15 PhDs will be awarded, along with an Emeritus Professorship. CDU Vice-Chancellor, Professor Barney Glover will give the Occasional Address on both evenings with Nimalan Logeswaran and Kalinda Griffiths proving the graduates’ responses. The mid-year graduation ceremony for Alice Springs students will be held on Friday, June 12, at the Alice Springs Convention Centre.